Open House at Fire Station ! 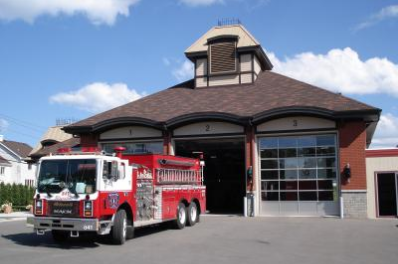 The Fire Department fire station 7, located at 310 chemin du Bas-de-Sainte-Thérèse, Blainville, will be holding an Open House on Sunday, September 23, noon – 4 p.m.
A wide range of activities are planned, including an inflatable slide for tiny tots, face painting and a tour of fire and emergency services trucks. Participants will be able to discover the smoke simulator (Fire Brigade), test a real portable fire extinguisher with a fire simulator and view the aerial ladder. The specialized teams of the Fire Safety Department will be on site to introduce residents to the equipment used and explain the various aspects of a firefighter's job.